Canine Oral Cancer | What Are the Symptoms, Causes, and Treatment? Malignant canine oral cancer is rather common in dogs and can be in the form of melanoma, squamous cell carcinoma, and fibrosarcoma. 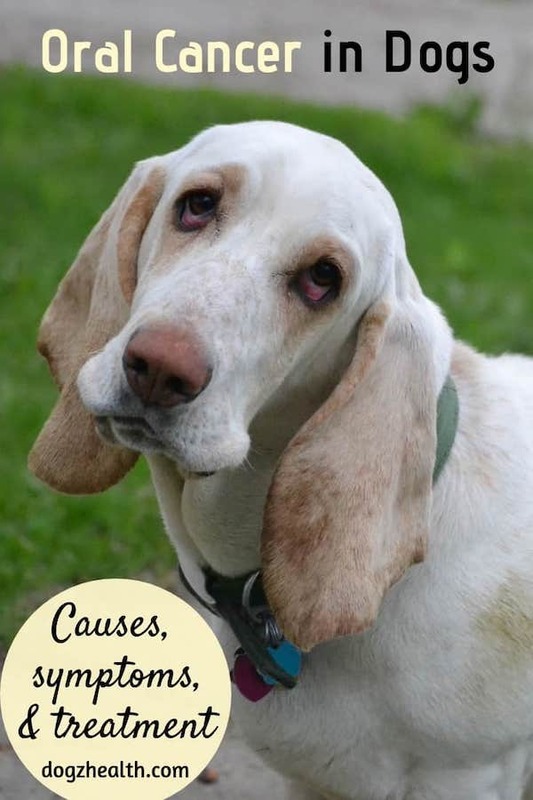 This page looks at the symptoms, causes, and conventional treatment of mouth cancer in dogs. Oral cancer in dogs is the fourth most common canine cancer and accounts for about 6% of all tumors. Understandably, oral tumors cause a lot of discomfort to dogs due to their location. The tumors can also obstruct the oral passage making it difficult for the dog to eat and drink. Sometimes, their location also makes it difficult to treat. There are two types of oral tumors in dogs – benign tumors and malignant tumors. Benign tumors are well defined and limited to a specific location. They do not spread and do not invade the bone or other tissues. Malignant tumors, on the other hand, are those that metastasize and invade other tissues or organs. Since it is difficult to tell whether a growth in the mouth is benign or malignant, it is important to take your dog to the vet for a proper diagnosis if you see any growths in his mouth – no matter how benign they look. A common benign oral tumor in dogs is the epulis, which is most commonly seen in Boxers and Bulldogs. These tumors grow from the periodontal membrane in response to gum inflammation and appear as growths on a flap of tissue. There are often multiple growths. There are numerous other benign growths as well, such as fibromas. All these benign oral tumors usually have well defined borders. They do not invade the bone or other tissues and do not spread. Surgical removal of these benign tumors can usually fix the problem. 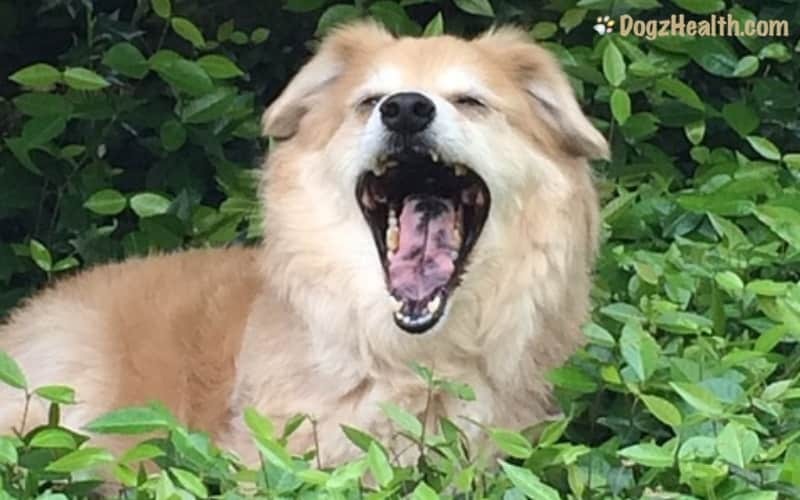 Malignant oral tumors usually occur in older dogs. There are three common malignant oral tumors in dogs. In order of frequency, they are malignant melanoma, squamous cell carcinoma, and fibrosarcoma. This tumor is locally invasive, and metastasizes early in the course of the disease. By the time it is diagnosed, it is usually too late – the tumor has already spread. Melanomas usually occur in the lower gums and often involve not only the gums, but also the jaw bones. Sometimes, they also occur in other places in the mouth, such as the tongue, lip and palate. They can be either dark or light gray. Older dogs that have dark pigmented oral mucous membranes are more prone to have this type of tumor. This tumor is locally aggressive but tends to metastasize late, if at all. This type of tumor will very commonly affect the underlying bone. Squamous cell carcinomas commonly occur in older dogs as an ulcerated red spot. This tumor is also locally aggressive but does not tend to spread. It also appears as a red growth, which can be fibrous or ulcerated. Fibrosarcomas commonly occur in older male, large breed dogs. The exact cause of mouth cancer in dogs is not clear, but many vets believe that environmental carcinogens (cancer-causing agents) may play a role in causing oral cancer in dogs. As dogs use their nose often to smell and sniff, it is possible that they breathe in quite a few carcinogens in the environment. 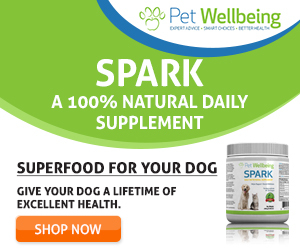 These cancer-causing substances accumulate in the dog’s oral cavity, where they trigger abnormal cell growths which result in cancerous tumors. In addition, dogs with oral papillomas (warts caused by a virus called Papillomavirus) are at higher risk of developing malignant tumors. Environmental carcinogens (cancer-causing agents) may play a role in causing oral cancer in dogs. Unfortunately, symptoms of canine oral cancer are very similar to those of periodontal problems, making it difficult to diagnose. Very often, the cancer is not diagnosed until it is in an advanced stage. A dog may show signs of breathing difficulty if there is a mouth tumor at the base of the tongue. Biopsy of the tumor can give a definitive diagnosis as to whether the tumor is malignant or not. If malignant, the vet will then take chest x-rays and x-rays of the local and surrounding area of the tumor to determine if the cancer has spread, and if so, to what extent. As mentioned above, melanomas tend to metastasize early and by the time the dog is diagnosed with oral cancer, it will have already metastasized to the lungs. If a dog has been diagnosed with oral cancer, the vet will most likely examine the regional lymph nodes as well. Fine-needle aspiration may be necessary to biopsy suspicious nodes to check for the presence of cancerous cells. For invasive tumors such as melanomas, aggressive surgery removing not only the tumor but also at least 2 cm of normal tissue at all margins of the tumor is necessary. For cases where clean margins cannot be achieved, or for tumors that are simply inoperable due to wide-spread invasion, the vet will likely suggest radiation therapy to control the symptoms. As a follow-up treatment for cancers that have spread far from the primary site, the dog may have to undergo chemotherapy. Another treatment is cryosurgery, a procedure that uses extremely cold liquid nitrogen to freeze and kill the cancerous cells. The vet usually uses this cryosurgery to treat small tumors, as well as for treating residues left behind after surgery. As mentioned above, many cases of canine oral cancer are not diagnosed until they are in too advanced a stage for treatment. The prognosis is best for squamous cell carcinomas if they are located in the front – 50% of treated dogs survive a year or longer. While it is impossible to totally prevent any type of cancer from occurring to your dogs, there are things that can be done to minimize the risk. For example, as mentioned above, dogs with oral papillomas are at higher risk of developing malignant mouth tumors. Papillomas usually occur to dogs with weakened immune systems, such as those who are undergoing corticosteroid therapy. Strengthening the dogs’ immune systems is one way to lessen the chance of contracting papillomas and oral tumors. In addition, if at all possible, avoid exposing your dog to environmental carcinogens, such as cigarette smoke, harmful chemicals, car exhaust, etc.